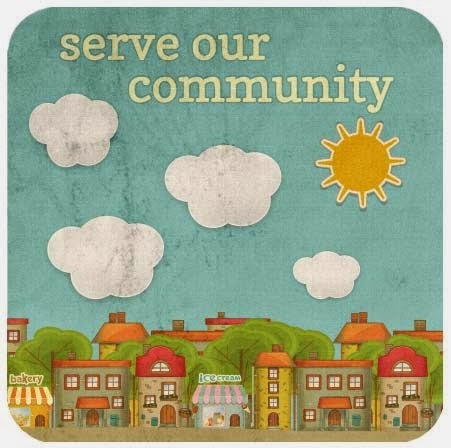 This Week @ Twin Cities Church: "Serve Our Community" coming April 25! Mark your calendar! "Serve Our Community" coming April 25! Mark your calendar! Twin Cities Church has always been committed to following Jesus, to becoming LIKE Jesus, and to sharing Jesus with others in as many ways as possible. Matthew 20:28a says, “For even the Son of Man came not to be served but to serve others,” and we have found that serving our community is a way to both BE like Jesus and SHARE Jesus with our world! It’s a way to show that Twin Cities Cares! These “marching orders” are launching us into an exciting “Serve Our Community” event this spring, where we are planning to go out into our community and make a difference through serving! We are connecting with some of our local schools and community partners to discover some significant ways that we can be the hands and feet of Jesus in serving them. What a great picture: Putting hundreds of TCC people out into the community all at the same time, selflessly working to help local organizations do what they do BETTER! We are targeting Saturday morning, April 25, as our “Serve Our Community” day, and we need each and every TCC person, group, and family to see how they can get involved. Some projects will be small, some much larger. Some will involve heavy labor, others will be much “lighter duty.” Some projects will need some people to be skilled in certain areas, while others will simply be looking for warm bodies with willing hearts. All that to say: There is a place for YOU! !